Schade Creek Vineyard has appeared in the Now And Zin Wine Country series before, as have some of their recent troubles with the Waukee, Iowa city government. The status of the winery is up in the air as of this writing, which led to the question mark in the headline. Kurt and Jana Schade (pronounced Shady) have been battling the city council for their very survival as a business since the city embarked on a crusade to keep their winery and tasting room closed. This article, from Waukee Patch in 2012 also highlights some of the struggles Schade Creek Winery has had with the city. Although the Schades didn’t hold out much hope for a victory against City Hall when I spoke with them recently, I have my fingers sincerely crossed that they can get back to the work into which they have poured their life savings - the work of making people happy by way of their wines. In the middle of their struggle, the Schades were kind enough to supply me with some of their wines so I could revisit a few of them and taste some of their other offerings. Schade Creek’s wines are not labeled with a vintage, but it appears these releases are new, and some are different from the previous vintage. Their wines sell for about $12 per bottle. This rosé, called a blush in the Midwest, is made from 100% Steuben grapes. The skins remain in contact with the pressed juice long enough to impart a medium-garnet color. It looks a lot like a Spanish rosado, or a White Zinfandel. The nose bears the Iowa earth, with vibrant strawberry and watermelon aromas peeking through. On the palate, it's the same story - fruit nestled in minerality. A citrus play arrives late and stays on the finish. The racy acidity is razor sharp, which means you can pair this wine with a lot more than just a salad. This is a half-and-half blend of Golden Muscat and Steuben grapes. There’s honeyed apricot on the nose, and an earthy aroma permeating it. It’s full and a bit sweet in the mouth, and the acidity is brilliant. The flavor profile runs from tropical fruit to peaches and back again, with a lovely Sweet Tart finish. The Schades recommend pairing with pork and big, bold cheeses. It also pairs nicely with avocado They say it’s a great choice for people who love Pinot Grigio, and I think that hits the nail right on the head. Made entirely from the Schades' Vignoles grapes, the nose offers a fresh display of flowers and herbal notes, with an underlying sweetness of apricots. On the palate, the semi-sweet wine carries lovely flavors of peaches and a terrific level of acidity. The winemaker notes suggest a pairing with beef or lamb. I don't know that I would go that far, but it would the perfect wine to pair with garlic shrimp or big cheeses. Another 100% Vignoles effort, the white wine with the friendly name is crisp and semi-sweet, with a nose of earthy apricots and peaches and a tart, tangy palate. The Schades recommend it for those who like Sauvignon Blanc. They also say it goes nicely with salads and shrimp. This lighthearted wine is 100% Edelweiss. The Schades say the past year’s Edelweiss turned out a bit sweeter than usual. This wine has an earthy/sweet nose, with honeyed fruit highlights. The palate shows a great level of acidity, which makes the wine very refreshing and food-friendly. The full mouthfeel and fruit-driven palate make this an excellent wine for sipping, or for pairing with salads or other light fare. I've written written before about the wines of Castello di Amorosa - the Calistoga castle that's a replica of a real Tuscan castle. If you visit, it's hard to miss. There aren't a lot of castles in the neighborhood. This one took 14 years to build. It even has a torture chamber. Presumably, the wine served there is very different from the wine served in the tasting room. Castello di Amorosa uses estate fruit for all their wines, some of which are Italian varieties. They kindly supplied me with samples of three of their wines which tip the fedora to their Italian heritage. Pronounced "Joy-uh," this 100% Sangiovese rosé is fruity and fresh and a lively deep pink to boot. Its nose is fresh and vibrant with cherries and plums. The palate bursts with strawberries and raspberries, and a streak of earthy minerality. A dynamite acidity laces it all together. This wine looks big, but actually comes across as a light-middleweight. The mouthfeel is crisp and refreshing, so it’s a great choice for salads, sandwiches or sipping on the porch this spring and summer. The alcohol content won't weigh you down - only 13.1% abv. The wine is aged in stainless steel tanks. This varietal offering has medium density and is deep purple in the center of the glass, turning lighter at the edge. The nose is enormous, laden with black cherry and blackberry with floral notes for good measure. It's a bombastic bouquet, and it's fitting on such a heavyweight wine. Frankly, it drinks more like a young Napa Cab - big alcohol, big tannins and fruit a lot darker than I expect in a Sangiovese. The 14.5% alcohol content shows vividly upon opening, but after a night uncorked, it settles down quite a bit. There's a lot of influence from the 18 months of ageing in French oak barrels which this wine receives. A Super Tuscan-style blend, this one is made from 66% Cabernet Sauvignon, 18% Merlot and 16% Sangiovese - all estate fruit. The nose bears a lot of heat after opening, which burns off in a couple of hours. The 14.6% abv remains noticeable, though. The wood leaves its mark here, too - 20 months in French oak. Intense aromas of blackberry dominate the smells, with a bit of tar and eucalyptus creeping through. Huge fruit blasts through on the palate, too. The tannins are firm and the acidity is mouth-watering. On the third night after opening, the tar was so deep and rich I might have mistaken it for a Syrah. The winemaker notes suggest a pairing with wild boar, which sounds great to me. Winemakers Brooks Painter and Peter Velleno have produced some commendable wine. Hear Castello di Amorosa’s consulting winemaker Sebastiano Rosa talk about the origins of Super Tuscan blends, and his history with wine, on the Castello di Amorosa SoundCloud site. Castello di Amorosa wines are sold only at the castle or through their website. It was a perfect mid-February, Southern California Saturday for a trip out of Los Angeles. We enjoyed sunny, warm weather as we headed north on the 101 Freeway toward Santa Barbara wine country. We didn’t have to do much work - our car knows the way very well. We were bound for the Garagiste Festival: Southern Exposure, amidst the windmills and wine bars of Solvang. The Garagiste Festival began in Paso Robles, an effort to spotlight some of the many small-production winemakers in that region. The festival’s name comes from the French word that describes small, maverick wine producers operating in garages instead of chateaux. Most of the producers who pour at the Garagiste events have no “winery” - they buy grapes directly from choice vineyards and turn them into wine in unheralded, low-overhead locations. Stewart McLennan and Doug Minnick are co-founders of the Garagiste Festival, Lisa Dinsmore is the Event Director and Melanie Webber handles the public relations. Billing their new festival as “the first and only event dedicated to celebrating and promoting the artisan winemakers of the Santa Ynez Valley,” the team has set their sights on further expansion. They envision Garagiste events held all year long in various parts of California. I can’t wait to hear where the next new entry will be. They should all be as well-received as the first two. The winemakers and wine tasters aren’t the only ones to benefit from the California Garagistes. In January, Cal Poly’s wine and viticulture program got a check for $10,000 from the Garagiste Festival’s Paso Robles event, and the Southern Exposure version promises more to help pave the way for future winemakers. Winemaker Ron Hill’s (right) 2009 Babcock Vineyard Pinot Noir ($44) shows black tea and cola notes, while his 2009 Grenache ($30) and 2009 Syrah ($35), both from Alisos Vineyard, are dark, funky and loaded with acidity. His new Syrah rosé (barrel sample) has a nose exploding with candy and flowers. It’s due for release in March or April. Winemaker Andres Ibarra crafted a 2008 Chardonnay ($16) with gorgeous, smoky fruit from La Presa Vineyard and acidity to burn. Paul Wilkins makes wine for Alta Maria Vineyards and Native9, but he can’t get enough of it. Autonom is his solo project, focusing on very limited-release Rhone varieties. His 2009 “Law of Return” Grenache ($44) sports a 5% splash of Syrah and shows cherry and a hint of funk on the nose. Nielson Vineyard fruit is lovely. The 2009 Rhone Cuvée ($32) allows the Laetitia Vineyard Syrah to drive, with 30% Grenache riding shotgun. Earth and bacon await. When Riverbench winemaker Clarissa Nagy (left) has some alone time with winemaker husband Jonathan, they make more wine. The 2011 Bien Nacido Pinot Blanc ($25) is a pure joy, the 2010 Garey Ranch Pinot Noir ($48) is huge and dark and the 2010 White Hawk Vineyard Syrah ($30) shows some Southern Rhone funk. Look for the 2012 Viognier in May, with tangy White Hawk fruit. Named for a sailing term describing the most efficient point on a sail, COE gets winemaking direction for its Burgundian wines from Mike Sinor when he’s not busy at Ancient Peaks. The 2010 Pinot Noir ($40) is extremely aromatic and bold on the palate. Winemaker Etienne Terlinden (also of Summerland) says of his 2011 French Camp Zinfandel ($23), “I do this Italian style, picking the grapes earlier for a higher acidity level.” It shows spice and vanilla on the nose and a slight bramble on the palate. His 2010 White Hawk Syrah ($26) gives a lovely herbal scent with very dark blackberry flavor. Winemaker Joshua Klapper (right, pouring in lower left) always seems to have the busiest table at every wine event where I see him. I took the photo from the stage above him, in case I couldn’t get any closer. Happily, I did squeeze my way through for a taste of his 2010 Bien Nacido Chardonnay ($39). Eighteen months in French oak - 20% of which is new - imparts a butterscotch essence to the already smoky fruit. Soft-spoken winemaker Kevin Law is not exactly a “born promoter,” preferring to let his wines speak for themselves. A pair of Pinot Noir - 2011 Arroyo Grande ($28) and 2010 Presqu'ile Vineyard ($44) - are impressive for dark aromas and fruit. Smoky on the former, fruity on the latter. His 2010 Santa Barbara Syrah ($26) is dark as well, with a beautiful layer of acidity. James Ontiveros worked hard to reclaim a portion of the land that came to his family as a Mexican land grant nine generations ago. It’s mainly a cattle ranch now, but he has his dream of an eight-acre vineyard. His 2009 Pinot Noir ($64) is very dark and laced with smoke. The 2010 Pinot ($64) seems better integrated. Ryan Deovlet makes the wine for the Gleason family, and the 2010 “Tiradora” Sauvignon Blanc ($28) shines with just a hint of grass and great acidity. The 2009 Barbareno ($42) is two-thirds Syrah, one-third Petite Sirah - extremely aromatic and loaded with blackberry. If there’s anything to be said for being different, you can say it about Ryan Roark (left). He makes Chenin Blanc, Malbec and Cabernet Franc. Oh, and something called Pinot Noir. I love the savory edge on his 2012 Chenin Blanc (barrel sample) but his 2011 Malbec ($28) is all perfume and spice - lovely. Roark told me his 2011 Cabernet Franc ($28) had no sulfur added to it. When I asked if he was making a “natural wine,” he shot me a look that said he’d rather not open that 750ml bottle of worms. He left it at, “I didn’t put anything in that wine.” It is kinda dirty, kinda rustic, kinda spicy and kinda delicious. I like a guy who hits you with his clones while pouring the Pinot Noir. Ryan Chachrane’s 2011 Pinot Noir sports clones 113, 116 and 667 from Fiddlestix Vineyard. There's mocha on the nose and black tea on the palate. Cochrane worried that the twelve barrels he made last year wouldn’t be enough even for garagiste status - but it was. Shawn Shai Halahmy poured an outstanding 2009 Grenache ($24) which has a big bouquet mixing cherry candy and coffee, with a nice tart edge on the palate. The 2011 Santa Ynez Sauvignon Blanc ($22) produced by Ernst Storm is a four-vineyard blend with lovely fruit and a slightly grassy note. The 2012 Presqu’ile Vineyard Sauvignon Blanc (barrel sample) shows a little more green. Storm’s 2009 Santa Maria Valley Pinot Noir ($40) carries the familiar smokiness of that area along with a floral element, while the 2010 John Sebastiano Vineyard Pinot Noir ($50) is fruitier. If you're in the market for a really gigantic, huge, enormous Napa Valley red wine, Cornerstone Cellars has it covered. The Cornerstone Cellars Napa Valley Cabernet Sauvignon Howell Mountain 2009 is a wine for people who like 'em big. Grapes from Ink Grade Vineyard, on the eastern side of Howell Mountain are the main contents here. These vines have limited root growth, resulting in small grapes with concentrated flavor. Some Oak Knoll District Cabernet Sauvignon was also used, as well as a 5% splash of Carneros Merlot. The 2009 growing season in Napa Valley is described in the winemaker notes as “mild, blissfully uneventful.” Mid-October, however, brought some very heavy rainfall. That did not upset the fruit for this wine, though. If anything, it just made it mad. This wine carries a hafty 14.9% abv number and retails for $80 per bottle. The winemaker asserts that this Cab should age well for 20 years, according to the notes on the vintage. If wine ratings mean anything to you, Robert Parker stamped a 91 on it. The wine is inky black with a nose to match. The plummy aromas are as dark as the night and just as intense. The wood effect is simply beautiful - the 22 months the wine spent in French oak left its elegant, smoky mark. A hint of tar weaves in and out of each whiff. The palate is dark and supple, with big fruit and lovely spices that go on for days. The wine has the tannic structure to handle heavy beef and a finish that just won't go away. The masculine brawn displayed here is impressive, maybe even showy. Please, please, have this with the biggest, meanest piece of beef you can find. Cornerstone's Craig Camp tells me there's nothing better for a young Howell Mountain wine. The folks who put on the LA Wine Fest every year will be tuning up once again just a bit to the north. The Santa Clarita Wine Fest is scheduled to spill the wine at Bridgeport Marketplace on March 2, 2013, from 2:00 to 6:00 p.m. Bridgeport Marketplace is located at 24045 Newhall Ranch Road in Valencia, CA. This will be the third annual event for wine lovers in the 661. The event promises to be enough of a pleasure with all the wine, beer and spirits poured, not to mention the food, cigars and other of life’s little delights. But a good cause will be served as well - the Michael Hoefflin Foundation for Children’s Cancer will benefit as a direct result of your attendance. The participants list for the 2013 SCWF is Southern California-heavy, with only a handful of wineries from Paso Robles or Napa Valley. There’s a particularly strong showing from Ventura County and Malibu, though, so this will be a good chance to sample wines from those areas. They may be a little hard to find at the wine shop, but they’ll be at this party. Single adult tickets are $75, and for an extra $15 you can get in an hour early as a VIP. There are deals for couples as well as designated drivers - just check the website. 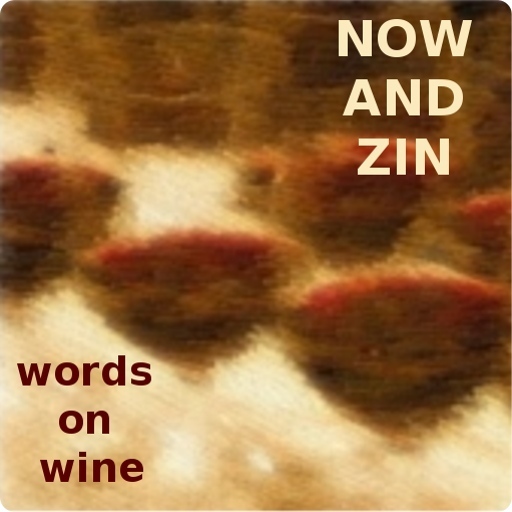 The best deal is for Now And Zin readers - go to the website, tickets, then enter the code NOWandZIN to get your ticket for only $45. In Pursuit of Balance - IPOB - was held on Wednesday, February 6th at the London Hotel in West Hollywood. Two morning seminars - one concerning Chardonnay and one focusing on Pinot Noir - and an afternoon media/trade tasting preceded the consumer tasting event that evening. The event accented Pinot Noir and Chardonnay producers who make wines with balance and food compatibility in mind. Terroir and varietal identity mean a lot to these folks, and they feel no need to push the winemaking envelope to try and lose sight of those concepts. Anthill Farms Winery "Campbell Ranch Vineyard Pinot Noir, Sonoma Coast, 2011 - Beautiful, tangy fruit from the north end of the AVA. 25% whole cluster. Arnot-Roberts Peter Martin Ray Vineyard Pinot Noir, Santa Cruz Mountains 2011 - The nose is so savory it's almost salty. Slightly tart raspberry flavor. Bluxome Street Winery Balinard Vineyard Pinot Noir, Russian River Valley, 2011 - Green Valley appellation. Very nice savory tart fruit. Ceritas Pinot Noir, Sonoma Coast, 2011 - Fresh acidity and a savory, smoky taste. Chanin Los Alamos Vineyard Pinot Noir, Santa Barbara County, 2011 - Nice floral and tea notes. Chanin Bien Nacido Vineyard Pinot Noir, Santa Maria Valley, 2011 - Great smoke and dark fruit. 50% whole cluster fermentation. LaRue Pinot Noir, Sonoma Coast, 2009 - Winemaker Katy Wilson (left) comes from an agricultural family. She got the wine bug in college. A very fragrant wine. Lioco Hirsch Vineyard Pinot Noir, Sonoma Coast, 2011 - Dark and full, with nice acidity. Littorai The Haven Vineyard Pinot Noir, Sonoma Coast, 2010 - A full mouth, great level of acidity, beautiful fruit. Ojai Vineyards Kick On Ranch Pinot Noir, Santa Barbara County, 2010 - A beautiful nose, the palate has a nice tart edge but it’s still fruity. Good acid, full mouth. Twomey Bien Nacido Vineyard Pinot Noir, Santa Maria Valley, 2010 - Lovely and dark. Wind Gap Gap Crown Vineyard Pinot Noir, Sonoma Coast, 2011 - 50% whole cluster. Aged in concrete, fresh and lively. Slightly savory notes. Arnot-Roberts Chardonnay, Santa Cruz Mountains, 2011 - Nice tropical fruit, lean and fresh. Au Bon Climat Clendenen Family Vineyards Le Bon Climat Chardonnay, Santa Maria Valley, 2008 - A really nice touch of oak, great acidity. Almost buttery, but not quite. Bluxome Street Winery Chardonnay, Russian River Valley, 2010 - Beautiful green apple, fresh acidity. Calera Chardonnay, Mt. Harlan, 2011 - Earthy without losing touch with the fruit. Chanin Los Alamos Vineyard Chardonnay, Santa Barbara County, 2011 - Just a slight hint of oak and great acidity. Chanin Bien Nacido Vineyard Chardonnay, Santa Maria Valley, 2011 - Wonderful oak effect and a long fruity finish. Copain Brousseau Chardonnay, Chalone, 2010 - Smoky nose, creamy mouth. Failla Haynes Vineyard Chardonnay, Coombsville, 2011 - Lush. Winemaker Ehren Jordan thought the 1965 vineyard was Zinfandel as he drove past it many times. It's not. Hirsch Vineyards Estate Chardonnay, Sonoma Coast, 2011 - Delicious apples, lean and gentle acidity. Lioco Chardonnay, Russian River Valley, 2011 - 2/3 barrel-aged, 1/3 tank. Explosive fruit on the nose, apples and tropical flavors on the palate. Mount Eden Estate Bottled Chardonnay, Santa Cruz Mountains, 2007 - A real treat. Smoky fruit, edgy minerality from the shale soil. Ojai Vineyard Solomon Hills Chardonnay, Santa Maria Valley, 2010 - Winemaker Adam Tolmach (left) brings brilliant fruit and lively acidity. Peay Estate Chardonnay, Sonoma Coast, 2010 - A lean and fresh effort. Andy Peay poured; Vanessa Wong is the winemaker. Sandhi Rita's Crown Chardonnay, Sta. Rita Hills, 2011 - A smoky nose and lovely, expressive fruit. Great use of oak. A fave. Soliste l'Age d'Or Chardonnay, Russian River Valley, 2010 - Beautiful. The 16 months in oak is barely noticeable. Very Burgundian. A fave. Tyler Chardonnay, Santa Barbara County, 2010 - Slight oak and vibrant acidity. Wind Gap Yuen Chardonnay, Central Coast, 2009 - Old vines in limestone soil. Fermented in concrete. Smoky, earthy nose. Westside Paso Robles and Chalone grapes. This was the second seminar of the In Pursuit Of Balance event in Los Angeles this month - read about the first one here. This seminar concerned Pinot Noir and the use of whole cluster fermentation in the making of wines from those grapes. San Francisco wine writer Jordan Mackay moderated this panel. "Whole cluster fermentation (leaving the grapes on the stems during fermentation) is a controversial technique when it comes to Pinot Noir. A winemaking process that dates back centuries, the practice fell out of favor with the advent of modern destemmers, as including stems in fermentation has a major impact on the finished product." But some California winemakers figured if it is good enough for some of the more elite producers in Burgundy, it's good enough for them. "the genius of Pinot Noir is found in subtlety and poise, in its graceful and transparent expression of the soils and climate in which it is grown. Balance in Pinot Noir enables those characteristics to reach their highest expression in a complete wine where no single element dominates the whole." The wines sampled in the seminar were not your typical "big California wines." The ripeness of the fruit - along with the alcohol content - can be held in check by the inclusion of stems in fermentation. The panel consisted of four winemakers who believe in the potential of balanced Pinot Noir in California. Jordan’s Failla Peay Vineyard Sonoma Coast Pinot Noir 2006 used 60% whole cluster fermentation, and tastes extremely earthy. His Failla Whistler Vineyard Sonoma Coast Pinot Noir 2011 is smoky and slightly tart. Jordan believes whole cluster fermentation increases the ageability of a wine. "Stem inclusion is also massively important in Syrah,” says Jordan. “Much like Pinot, Syrah can be a cool climate grape." "Shallow soil, with small berries, is better for whole cluster fermentation than deep, rich soil where the berries are big," says Kutch. This type of grapevine has a better chance of having brown stems, which are better for whole cluster. All the winemakers on the panel say they look for sites that are not vigorous where the yield is lower and the berries smaller, with brown stems. Kutch says, "I consistently get my lowest scores from Wine Spectator from my best site - McDougall - so I'm making this wine for me." Those of us in the audience got to enjoy some, too. The pair of Kutch wines were 2012 barrel samples, but the drew the distinction between whole cluster and destemmed very clearly. The Kutch McDougall Ranch Pinot Noir 2012 was 100% destemmed, and the ripeness of the fruit was apparent. The Kutch McDougall Ranch Pinot Noir 2012 100% whole cluster barrel sample had a tart edge to the fruit. Kutch will blend the two together for the finished wine, but it will be mostly whole cluster fermented. Jim Clendenen (left, Au Bon Climat) began using whole cluster fermentation in the early ‘80s. "It can be a green, bitter wine if the site does not support it," he says. “I'll take less color in the wine from whole cluster fermentation in exchange for the benefits in aromatics and taste." Clendenen nearly rose to his feet to exclaim, "If we'd been sitting here in the ‘70s we'd be serving broccoli juice, because that's where California Pinot was back then! We have much better farming methods and winemaking technique now." Clendenen’s Au Bon Climat Talley Rosemary Arroyo Grande Valley Pinot Noir 2009 is 100% whole cluster fermented, and shows a slight tartness on the nose and palate. The wine has really beautiful acidity, and is lovely despite the fact that the fruitiness is suppressed by whole cluster fermentation. The Au Bon Climat Bien Nacido Vineyard Historical Vineyard Collection Pinot Noir 2009 utilizes 50% whole cluster with the Santa Maria Valley fruit. It’s slightly less tart, but still with beautiful acidity. Besides looking for the right vineyard for whole cluster fermentation to work, it also has to be the right vintage. A cooler than normal growing season will not allow sufficient browning of the stems, and therefore whole cluster is rarely attempted. The 2011 vintage from Santa Barbara County is one in which it’s rare to find a Pinot using whole cluster fermentation. Is Chardonnay wine out of balance in California? It may seem an unnecessary question, but a seminar held in conjunction with the In Pursuit Of Balance wine tasting event in West Hollywood attempted to answer it at The London Hotel on February 6, 2013. The seminar offered an exploration - with examples - of what constitutes balance in California Chardonnay. The panel was moderated by Jon Bonné, wine editor of the San Francisco Chronicle. "Balance is the foundation of all fine wine. Loosely speaking, a wine is in balance when all of its components - fruit, acidity, structure and alcohol - coexist in a manner such that should any one aspect overwhelm or be diminished, then the fundamental nature of the wine would be changed." Sonoma County wine businesswoman and co-founder of this event, Jasmine Hirsch, kicked off the seminar with a few quick comments and turned things over to Bonné and his winemaker panelists. Bonné got things rolling with a brief history of Chardonnay in California. "Around 1981, Chardonnay went from being a specialty grape to being the grape the state is known for." He turned to Gavin Chanin (right, Chanin Wine) for the question of whether winemakers work with Chardonnay because they want to, or because they have to. "Pinot Noir and Chardonnay are arguably the two best grapes for showing the terroir of specific vineyards," said Chanin. "It's a neutral grape. It adapts itself to winemaking technique, but it also can represent the terroir very easily. Chanin warned against using winemaking technique to "fix" a wine. "The trick is not to try and make the wine do what you want, but to find a site that mandates what you want." For site-conscious winemakers in California, there are few better places to go for fruit that the Santa Maria Valley's Bien Nacido Vineyard. Chanin's Bien Nacido Vineyard Chardonnay 2010 has a nose of minerals, green apple and caramel, all taking their turn appearing. Great acidity and savory fruit flavors mark the palate. Matt Licklider (left) served on the panel, with his LIOCO partner, Kevin O'Connor in the audience. Licklider reminisced, "We bonded while tasting wines in the alley behind Spago, spitting in the drain." He said they formed LIOCO out of a desire to "identify sites that truly have a vocation for the variety." When the talk turned to the use of oak barrels in ageing Chardonnay, Licklider claimed, "Oak, to wine, is like salt is to meat. It brings out the flavor of the meat, but you shouldn't taste the salt." The LIOCO Hanzell Vineyard Sonoma Valley Chardonnay 2011 has a light, smoky nose, savory fruit and a nutty finish. Hanzell is a warmer site. While Licklider and O'Connor prefer cool sites, they felt this vineyard was special. "We worked for years to make a deal to get these grapes," said Licklider. "The vineyard contains the oldest continuously producing Chardonnay vines in North America." The other co-founder of IPOB, sommelier and Sandhi winemaker Rajat Parr, admitted that Chardonnay was his "gateway grape." "It was the one that got me thinking about what can be done with a specific variety. You know it had an effect on me - I make 80% Chardonnay." Parr likes the exuberance of the grapes from the north-facing, cold, foggy Sanford and Benedict Vineyard in the Sta. Rita Hills. The Sandhi Sanford and Benedict Chardonnay 2011 offers a tangy nose with a hint of funk and a sour apple palate. Bob Varner grows his grapes in the northern part of the Santa Cruz Mountains. His property faces the bay and sits just below the fog line, benefitting from that cooling influence. His Varner Home Block Chardonnay 2011 is creamy in the mouth and spicy on the tongue. Anthony Filiberti (left, Anthill Farms, Knez) says the Demuth family had their Chardonnay planted before planting Chardonnay was cool. Intended for sparkling wine use, they were all set when California Chardonnay hit it big. "At 1,700 feet, the vines are above the fog, but still cooler than the rest of the Anderson Valley." The Knez Demuth Vineyard Chardonnay 2010 offered the fruitiest nose of the five samples, with a delicious, slightly sour palate and a nutty finish. All five wines are truly extraordinary - and balanced - examples of California Chardonnay, and all are barrel fermented. None, however, have oak as its calling card. None are lean or austere, either. Bonné wondered aloud if the winemakers had left the spent yeast cells - lees - in the ageing wine to give a bigger, fuller mouthfeel. He asked, "Are lees your friends?" All the winemakers nodded and said, "Yes, best friends." After the main presentation concluded, a question came from an audience member regarding the potential of classifying Chardonnay in the same way as Riesling. Bonné quips, "We'll make Chardonnay as popular as Riesling," which elicited a good round of laughs from the audience. The Santa Lucia Highlands AVA of Monterey County is a cool climate growing region, known for its Pinot Noir and Chardonnay wine grapes. The folks who promote the appellation go as far as to say they are California’s “premier cool-climate winegrowing district,” although I’m sure the PR firms representing the Russian River Valley, the Sonoma Coast, Anderson Valley and the Sta. Rita Hills would have something to say about that. The cool climate comes courtesy of the geographical structure of the area. The SLH AVA is located on the northeast side of the Santa Lucia Mountains. The Salinas River Valley channels the cool air from Monterey Bay across the mountainside vineyards. This gives the region a long, cool growing season, perfect for Pinot. Artisans of some of the 50 vineyards of the SLH were in Los Angeles - Century City, to be precise - on Tuesday February 5, 2013. They poured their wines at Craft, superstar chef Tom Colicchio’s Los Angeles creation. The pioneers of the SLH - those who planted in the early 1970s - have been joined over the years by others in the region’s growth spurts during the ‘80s and ‘90s. The AVA’s website says Rich and Claudia Smith (Paraiso,) the McFarland’s (Sleepy Hollow,) Phil Johnson (La Estancia) and Nicky Hahn (Smith & Hook) were the leaders who discovered that the conditions in this area were exceptional. The vineyard acreage of the SLH is planted largely to Pinot Noir and Chardonnay, but smatterings of other grape varieties are around - Riesling, Syrah, Pinot Gris, Viognier, Sauvignon Blanc, Malbec, Gewürztraminer, Muscat Canelli, Merlot, Roussanne, Grenache Blanc and a few others fill out the vineyards. I sampled at about a dozen of the tables here, and I found that the Pinot Noirs - with some exceptions - were more savory than fruity, and the Chardonnays were mostly rather oaky. That wasn't always the case, and those that minimized the oak effect benefited from it. Grape varieties other than Pinot and Chardonnay were few and far between, but they proved a lively minority. Around the room, I kept hearing the homily, "When I want a Pinot, I look for SLH." I have also heard variations on that theme about other Pinot areas in California and Oregon, but after tasting a few SLH Pinots, I'm sure these comments are quite heartfelt. The quality of the Pinots poured here were uniformly high. Pinot Noir SLH 2011, $32 - This blend of Rosella's and Sierra Mar Vineyards bears a fragrant nose, and a light palate struck with raspberry and tea. A favorite from Deadhead winemaker Ed Kurtzman. Pinot Noir Rosella's Vineyard 2011, $45 - An extremely elegant single vineyard effort, one of many wines produced from Gary Franscioni's vineyard. The Bernardus Pinots are marked by wonderful acidity. Pinot Noir Pisoni Vineyard 2010, $65 - Savory raspberry fruit. Pinot Noir Rosella's Vineyard 2010, $55 - The feminine exception at this table full of masculine wines. Pretty violet nose. Pinot Noir Soberanes Vineyard 2010, $55 - A delight, with funk on the nose and earth on the palate. Pinot Noir Gary's Vineyard 2010 - Savory and earthy, which is how they like 'em at Bernardus. These two labels use grapes taken mainly from the cool-climate north end of the AVA. Hahn Estate Chardonnay 2011, $25 - From the Lone Oak Vineyard, slight oak on the nose and beautiful fruit. Hahn Estate Pinot Noir SLH 2011, $35 - Beautiful fruit on this three-vineyard blend. Lucienne Pinot Noir Lone Oak Vineyard 2010, $50 - Great fruit and acidity. Pinot Noir Doctor's Vineyard 2010, $48 - Napa winery comes to SLH for a little savory edge to the fruit. Very nice. Chardonnay SLH 2011, $25 - Eighteen months in oak for this one, but you'd never guess it. The label's red winemaker, Steve Peck, explains that barrel fermentation on the lees makes for a milder oak effect than fermentation in tanks before oak aging. One of the better California Chardonnays I've had. Pinot Noir SLH 2011, $35 - This is a big Pinot with lots of fruit on the nose and palate. Due for a March release. Chardonnay North Highlands Cuvée, $30 - Clean and fresh tasting, with good use of oak and great acidity. Pinot Noir Home Vineyard 2011, $35 - A lovely bouquet, floral and fruity. Syrah Home Vineyard 2009, $26 - A hint of cocoa on the nose, a savory edge on the palate. From one of the founding families of the SLH AVA. Chardonnay Estate 2010, $18 - A bit oaky, but nice green apples and tropical fruit. Pinot Noir Estate 2009, $25 - Fruity and light, with wonderful freshness. Pinot Noir West Terrace 2009, $45 - More masculine than the Estate, with savory black tea notes. Faite Pinot Noir 2009, $60 - A powerful, savory nose brought high fives to winemaker David Fleming. Great acidity. Chardonnay Sierra Mar Vineyard 2010, $42 - Big and oaky. Viognier/Roussanne Les Tournesols 2010, $30 - Easy on the oak, with tropical flavors and great acidity. Pinot Noir Rosella's Vineyard 2009, $48 - A great nose, tea notes and very nice acidity. Syrah "Les Violettes" Paraiso Vineyard 2010, $36 - Light, fresh and aromatic, with 6% Viognier in the mix. In addition to their SLH wines, they also poured a Gewürztraminer farmed just across the highway from the AVA and some Bordeaux blends grown in Hollister. All were very nice. Pinot Gris Silvio's Vineyard 2011, $25 - Two months in new oak is just right. Apples, peaches, great acidity. Chardonnay Silver Cap Vigna Monte Nero 2010, $24 - This one gets a short time in oak, then goes to stainless steel. All fruit. Chardonnay Reserve Vigna Monte Nero 2011, $50 - Six months in oak brings a lush texture. One of the better Chardonnays here. Pinot Noir SLH 2010, $35 - A big, big Pinot. Winemaker James MacPhail creates single-vineyard Pinot for the Hess family of wines. Pinot Noir SLH 2010, $32 - Elegant and a bit spicy. Novy Chardonnay Rosella's Vineyard 2011, $27 - The oak is played savory, not sweet. Siduri Pinot Noir Sierra Mar Vineyard 2011, $51 - Pretty, floral and feminine. Siduri Pinot Noir Gary's Vineyard 2011, $52 - Savory bouquet, with tea on the palate. Novy Syrah SLH 2010, $24 - Nice and earthy. Chardonnay SLH 2011, $34 - A combo of grapes from Lone Oak and Fogstone Vineyards. Oak spice on tropical fruit. Pinot Noir SLH 2011, $42 - A fruity middleweight with a floral, spicy nose. Pinot Noir Fogstone Vineyard 2010, $59 - Fruit and flowers. Chardonnay McIntyre Vineyard 2010, $45 - Minerals and oak. Pinot Noir Tondre Grapefield 2010, $49 - A savory angle to the floral notes. Very interesting. Pinot Noir Boekenoogen Vineyard 2010, $49 - Rich and full in the mouth. Syrah Doctor's Vineyard 2010, $39 - Cool climate Syrah with a funky edge to the dark fruit. Quite nice. When a musician offers a wine under his or her name, you can expect certain musical analogies to pop up - like “reds, whites and blues.” Paul Cullen can handle the blues himself, and he’s man enough to add a pink wine to the red and white mix. Cullen was the touring bass player for Bad Company back in the early ‘90s. He still strums the steel strings, but he has also turned his attention from the playing of “Holy Water” to the making of earthy wines. As he puts it, "From Bad Company to wine company." Cullen’s “Unplugged and Uncorked” line of wines are actually made by Foothill Wine Cellars of Drytown, CA, utilizing grapes grown under the California sun in the Sierra Foothills. Winemaker Allen Kreutzer is a winemaking veteran and a drummer, so his involvement in the project seems to be as natural as a C major. Cullen (right) advises those who pick up the bottle and look at the label to “Tune Your Palate” to his wines. He provided me with samples of three of his wines - the Sonata lineup - so I banged the tuning fork on the edge of the bar and tried them. The Paul Cullen wines come under a Stelvin closure - known backstage as a screwcap - and the three segments of this wine symphony all rock an alcohol content of about 14.5% abv. That’s hitting a high note for some, but it’s about average for California wines. This wine is the ballad of the concert, a white wine from the Sierra Foothills. Sauvignon Blanc is played against a bit of Chardonnay. It has a very pale color, with a nose that’s rather faint, but pear and peach aromas make their way through a distinct minerality with a slight grassy note on the side. The palate is savory, with the fruit again playing second fiddle. A nice acidity leaves a clean feeling in the mouth, and it should be great with light salads or just for sipping on the porch while your Pandora goes off on a musical tangent. Here’s a mid-tempo number that makes you think a bit - just what you want about halfway through the show, a little something to keep you interested. Its color also plays pianissimo, a pretty light pink in the glass - quite Provence looking. Aromas of strawberries and watermelon provide the main instrumentation, with a green earthiness handling the backbeat. It’s nice and dry, and the palate puts an earthy spin on the fruit, too. The strawberry flavor serves as conductor for a rather complex showing of raspberry, cranberry, green apples and a savory rhubarb note. There’s also a mead-like flavor which I couldn’t quite figure out. I was rather surprised to find that this wine is a blend of Petite Sirah and an Italian variety Fiano. Fiano is a white grape grown mainly in Campania and on the island of Siciliy and, apparently, in California’s Sierra Foothills. A little research led me to the information that Fiano is noted for a honey-like flavor, which would explain the mead thing - since mead is wine made from honey. Fiano is also known for a rather heavy handed flavor profile, but so is Petite Sirah. It’s a good duet. This is the arena-rockin' encore anthem of the performance, the fist-pumping climax of the enological event. Again from the Sierra Foothills, this medium-weight red blend sports a power trio of Syrah, Zinfandel and Cabernet Franc. This wine needs a lot of time to shake the alcohol from its bouquet, but I suppose real rockers don’t worry about that. They probably don’t use the term “bouquet” much, either. Once the heat burns off, blueberries and vanilla explode from the glass like a flash pod. There a spiciness that joins the fruit on the palate, too - not a surprise in a wine featuring both Zinfandel and Cabernet Franc. The oak is quite apparent here, but it fits well into the overall structure of the wine. 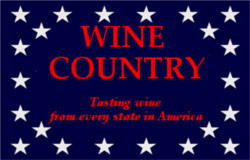 The Paul Cullen wines are distributed mainly in Delaware, Maryland and North Carolina, but they are available online, if your state allows wine shipments. In addition to the wines written about here, they also offer one called Gypsy Red - a Merlot/Zinfandel blend - and a Barbera called Jazz Freak. Jazz Freak retails for $16, while the others sell for $13. We've all heard the old axiom: "You can't fight city hall." An Iowa winemaker is finding that you can fight them, it's just not easy. Schade Creek Vineyard - it's pronounced "shady" - is six acres of vines in the small town of Waukee, Iowa. Kurt Schade was happy growing grapes and selling them to other winemakers, but he longed for something more. In 2007, Schade decided to build a winery and tasting room, make his own wine and sell it to thirsty locals and tourists right there on the property. The land was zoned for agricultural use, but Schade did his homework and discovered that in Waukee's city limits, a class A winery did not require the approval of the local government. He's a guy who likes to do things right, though, so Schade approached the city staff and told them what he had learned. The city officials gave him their blessing to create a destination winery that would bring new tax dollars and, likely, new tourist dollars into the commuter community only a few miles from Des Moines. Schade tells me "most folks in Waukee drive to work and spend the bulk of their expendable income in Des Moines, so a winery in Waukee seemed like a great idea - good for me, good for the public and good for the city." He put a lot of his own hard-earned money into creating a new building from the ground up and making the necessary upgrades to the facility - as requested by the city - to provide the public with an up-to-code tasting room to visit. He even went to the state capitol to make sure everything was on the up-and-up, and government officials there told him he was within the scope of the law and should proceed with his plans. In 2008, he started making his own wines and began applying for permits to open the tasting room early in 2009. Things began to go south in May of that year. "That's when the city told me they felt they had jurisdiction in the case after all,” Shade says. “There's a street which ends at my property, and when the city wanted to extend it they would have to build a multi-million dollar bridge. They wanted to take part of my land - and vines - and they wanted me to sign a letter saying that I agreed to letting them assess me as they saw fit, no matter what the cost." The city of Waukee wanted to take Schade's land from him - it's called eminent domain - and they wanted him to help pay for the street extension. "When I started the whole process, I knew there was a possibility that the city might someday want to extend that street through my property. So I built a berm through that area along the right-of-way, to allow for that. I never thought their demands would be so unreasonable. The street will not enhance my property, it will probably detract from it. I like my community and I'm pro-growth, but if I had known they would claim jurisdiction and make these demands on me, I would have considered selling the property and buying land elsewhere before sinking my life savings into the winery." Schade feels he should be compensated for the land and the vines that will be lost to the construction - and that he shouldn't have to foot the bill for said construction. Since hitting this impasse with the city, his tasting room - which opened last year - has been shut down, killing his retail business. He's still making wine, but has to do his best to sell it wholesale, which is not something he is set up to do. "A member of the city council - Mike Watts - was abusing his power and sending the police over to my place whenever a few cars are on the property. It has gotten very personal." The city says he should have assumed that these conditions could occur, even though they gave him the green light to build the winery. So far, Schade has been unsuccessful in reversing the city council's decision, even though locals and other winemakers have come to public meetings to speak on his behalf. “Waukee's mayor Bill Peard is definitely part of the opposition,” says Schade. "I worked with the city every step of the way and they waited until I requested the occupancy permit to drop this news on me. I thought a winery and tasting room with a pond and a fountain and a pretty vineyard would be an attraction the city would want to have around. No other class A native winery in Iowa has received the opposition we have." Schade Creek Winery submitted four wines to the Midwest Competition in 2012, in which they competed with wineries from 16 states. All of the Schade Creek wines were medal recipients - in fact, they were one of only two wineries in Iowa to receive two Gold medals. One of their wines - Harlan Henry,a wine made from Noiret grapes and named after Kurt’s Dad - received a Chariman’s nomination, meaning it was one of the top 20 wines of the competition. I wrote about some of the Schade Creek wines in the Now And Zin Wine Country series. Schade says he now has to decide whether to stop making wine he can't sell, or sell it in bulk to other wineries. The intervention of a state agency might help, but Schade isn't holding his breath. "The wine industry in Iowa is still in its infancy," says Schade, "and the state's wine organizations say they're sorry, but they just don't have the money to help fight the fight. I'm left wishing I had built the winery in a community that would embrace it." In Washington, German and Italian immigrants get credit for introducing winegrowing and winemaking to the state in the 19th century. It was in the 1950s, however, that the volume really got turned up on the Washington wine industry. During that time, two wine companies began to experiment with vitis vinifera grapes, and those two wineries eventually merged and became Chateau Ste. Michelle. Bob Betz, of Betz Family Wines, tells me that Ste. Michelle, along with Columbia Winery, continued planting vinifera vines in the 1960s. Today the state is the second largest wine producer in the nation. If you think of Washington as a wet, damp place because of the notoriety of Seattle’s rainy weather, you’re only half right. The eastern half of the state, across the Cascade Mountains, provides semi-desert conditions in which most of the state’s grape-growing is done. The mountains form a “rain-shade” that keeps the ocean-influenced weather to the west. Betz draws his grapes from that semi-arid eastern half of the state, but his winery is over on the rainy side of the Cascade Mountains, in Redmond. Washington is dominated by the Columbia Valley AVA. According to Washington Wine, the region’s 11-million acres takes up one-third of the state’s land and contains 99-percent of the wine grapes grown in Washington. Columbia Valley contains the smaller appellations of Red Mountain, Yakima and Walla Walla Valleys, Wahluke Slope, Rattlesnake Hills, Horse Heaven Hills, Snipes Mountain, and Lake Chelan. Wines from Washington state have been turning up on Wine Spectator’s best-of-the-year lists since 1989. Much has been written about Washington’s lack of a wine identity, the lack of a single grape variety they can point to as “theirs,” the way Napa does with Cabernet Sauvignon and Oregon with Pinot Noir. In my interview with Bob Betz, I asked him if he thought there was one grape Washington should claim as their own. He said he likes the notion of Washington as a diverse landscape, like California, where different regions can hang their hats on different vines. I asked my pals on Twitter to guide me to something definitive in a Washington wine, and Michael Mettler (@MettD) pointed me toward Washington Syrah. As luck would have it, Betz is a self-professed "Rhone nut." He makes three dynamite Syrahs that bring that French valley to mind in clearer focus than most California Syrahs do. In fact, I’d say the Betz Syrahs come very close to replicating the style of the real McCoy. This wine is made from four different clones of Syrah - 174, 383, 99 and Phelps - all grown close together in the Red Mountain AVA, from Ciel du Cheval Vineyard and the Ranch at the End of the Road. Betz says “Syrah is the grape variety that challenges my belief that “site trumps clone. The wine is inky dark in the glass with big, black fruit on the nose and a layer of dusty minerality atop it. The palate displays blackberry and tar, with a nice tannic grip. This warm-climate Syrah should pair nicely with any type of meat or mushroom dish. The earthiness will match up delightfully with lamb or Merguez sausage. It tastes very Rhone-like. Betz says the Red Willow Vineyard has the oldest Syrah planted in Washington - 25 year-old vines. This Syrah is also very dark, with an extremely aromatic nose full of dark aromas. Immediately, the smoke of a campfire leaps from the glass, followed by meat and anise. With all that, the fruit seems almost an afterthought. The blackberry aromas are luscious, if somewhat shrouded by the rest of the show. On the palate, the blackberry isn't shy, but there is plenty of minerality, bacon fat, licorice and black pepper to go around. This is the fruitiest of the three Syrahs. Medium dark purple in the glass, its nose shows blackberries and oak spice right up front. The wine has a medium mouthfeel, with well-defined tannins and dark fruit leading the flavors. Shades of the oak show up, but it is, at first sip, a youthful, fruit-forward wine. After opening, hints of smoke, earth and minerals come forth, but the fruit is the show here. It’s not sweet, but in comparison to the other two, it almost seems so. Modeled after the wines of Châteauneuf du Pape, Bèsoleil offers a Southern Rhône bouquet and palate that are laden with blackberry and raspberry. Notes of pepper and a floral aspect accent the fruit, while the structure is firm but the tannins don’t hinder the sipping experience. It was a cool vintage in the AVAs where the grapes were sourced - Yakima Valley, Snipes Mountain and Red Mountain. Betz says the complexity should increase through 2018. It’s great with goat cheese or chicken. Betz also does nice things with Bordeaux varieties. This cool vintage Bordeaux blend of 58% Merlot, 35% Cabernet Sauvignon and 7% Petit Verdot comes from the grapes of three Columbia Valley AVAs - Red Mountain, Yakima Valley and Horse Heaven Hills. Betz is understandably proud of the bouquet. He says, "The aroma takes center stage, with pure, vibrant black cherries, camphor, cocoa and a slight kirsch essence. Its foundation is a classic, complex expression of Washington Merlot, but since 40% of the blend is made from Petite Verdot and Cabernet Sauvignon, the aroma takes on additional dimension of anise, rose petal and baking spice." It is, to say the least, an extremely expressive nose. On the palate, things get just as busy. Blackberry, black cherry and a bold streak of eucalyptus and pencil point all run through this wine, helped along by vigorous acidity and firm tannins. The sip finishes savory with baker's chocolate and licorice. This Cabernet is blended with 8% Merlot and 6% Petit Verdot. It's a medium dark garnet color in the glass, and it throws off dark red fruit aromas with notes of cedar and clove. The spices seem to become a little more complex with time. The mouthfeel is full and aggressive, with firm tannins and bracing acidity. Cassis leads the flavor profile, with hints of eucalyptus and earth emerging during the sip. It's lean, not lush, and it packs some pretty good power - it's brawny, but in an elegant way. Santa Barbara wine country came to the Peninsula Hotel in Beverly Hills as another Learn About Wine event wowed the crowd. The tenth annual STARS of Santa Barbara wine tasting event was held January 23, 2013 and the wines on display were, on the whole, awesome. Wines of unique character and terroir elicited much talk from attendees as they made the circuit of tasting tables. Plenty of winemakers were on hand to soak up a little much-deserved admiration. Several of the winemakers brought their wines to the VIP luncheon which preceded the event. I commented to winemaker Karen Steinwachs that I have been liking the Buttonwood wines much more than I did six or seven years ago. She told me that she came on board at Buttonwood in 2007, and thanked me for the compliment. Sauvignon Blanc 2011 - All steel fermentation, with a splash of Semillon to smooth it out. A nice grassy nose. The grapes sprout from vines which were grafted onto Cabernet Franc rootstock. Rosé 2012 - Syrah, with expectedly good acidity, big fruit and deep pink hue. Merlot 2009 - Smoky cherry nose, nice acidity. This Santa Maria Valley winery poured representatives of each of their four estate vineyards. Chardonnay 2011 - Katherine’s Vineyard; 15 months in oak. Yes, it’s oaky, but it’s nice. Pinot Noir 2010 - Julia’s Vineyard; smoky, black tea. Pinot Noir 2007 - Bench Break Vineyard; earth, raspberry and cherry, in that order. *2010 Syrah - Tepusquet Vineyard; notes of coffee and mocha are a real delight. A fave. Belgian-born winemaker Etienne Terlinden is a Central Coast veteran, who is also the winemaker for Summerlin Winery. Zinfandel 2011 - An outsider at this event, as the fruit comes from Paso Robles' French Camp Vineyard. A little Petite Sirah thrown into the mix, and chocolate cherries lace the nose. Great structure. Syrah 2010 - White Hawk Vineyard; Peppery dark fruit, lots of earth. The husband/wife team of Bruno D’Alfonso and Kris Curran do what they like - Italian and Spanish varieties, Pinot Noir and Chardonnay. DiBruno Sangiovese 2007 - Stolpman Vineyard fruit from the Santa Ynez Valley. Great tannic structure, huge cherry flavor with spicy notes. Curran Syrah 2009 - Los Alamos Valley grapes make a peppery blackberry taste with great grip. GM Tim Snider (above) says the company was formed as an outlet for Eli Parker’s more artisanal winemaking desires, the Fess Parker label concentrates on Rhône varieties. Gypsy 2009 - Grenache, Mourvèdre, Counoise and Cinsault inhabit this southern Rhone blend. 22 months in oak with a very spicy nose and a spicy cherry palate. Norm Yost (right) has thirty-plus vintages under his belt, working mainly with cool-climate vineyards. His love of vineyard designated Pinot Noir and sparkling wine led him to launch Flying Goat in 2000. His wines have become quite popular in the Lompoc Wine Ghetto. Goat Bubbles Rosé NV - A pink sparkling Pinot Noir - very dry - with fruit and toast enough to please. Grapes from Solomon Hills Vineyard. Pinot Noir 2009 - Garey Ranch Vineyard. Wonderful earth in this Santa Maria Valley wine. Pinot Noir 2009 - Rio Vista Vineyard. This Sta. Rita Hills “Cacau’s Cuvée” features clone 2A. Raspberry and earth are dominant. Pinot Noir 2008 - Rio Vista Vineyard. This Dijon clone Pinot is dark and delicious. This family’s Italian heritage is the inspiration behind their Happy Canyon estate vineyard at the eastern end of the Santa Ynez Valley. Bordeaux varieties. Sauvignon Blanc 2011 - Mostly steel with some neutral oak. Great acid, beautiful nutty edge. *Sauvignon Blanc Reserve 2009 - barrel aged, with a gorgeous earthiness and oak spice. One of my favorite wines of the event. Articondo 2010 - BDX blend of Cabernet Sauvignon, Merlot and Petit Verdot. Aromatic nose of red flowers and lovely, bright cherry fruit flavors. Cabernet Sauvignon 2009 - A touch of Merlot is included here. There’s a nice graphite edge to the really bright fruit. Strictly estate-grown Pinot Noir and Chardonnay from this small Sta. Rita Hills producer. Rosé 2011 - Pinot Noir grapes fashioned into a beautiful, dry wine that comes in under the 12% mark. Chardonnay 2010 - Sixteen months of oak plays elegantly. Great acidity and a smoky edge to the citrus notes. Sun Pinot Noir 2010 - Sweet fruit and black tea. Moon Pinot Noir 2010 - A big Pinot, with cola, tea and structure. Craig Jaffurs sources fruit from the top vineyards in the county. Grenache Blanc 2011 - Thompson Vineyard. 70% stainless steel fermentation. Beautiful peach and apple. Viognier 2011 - A huge floral nose on this fruity wine, and a good zip from acidity. Bien Nacido and Volgelzang Vineyards. Grenache 2009 - Thompson and Larner Vineyards. Partially whole-cluster pressed, giving a green aspect to the.beautiful cherry flavor. Syrah 2010 - A blend of six vineyards. Great black pepper notes. *Petite Sirah 2010 - Thompson Vineyard. Great savory quality, especially in the nose. A favorite. Located along the Foxen Canyon Wine Trail, their estate vines average 40 years of age. Quartetto 2010 - Sauvignon Blanc, Chardonnay, Grenache Blanc and Viognier. Touch of oak on the nose; Grenache Blanc shines on the palate. *Pinot Noir 2010 - Rio Vista Vineyard. Chocolate rose petals. A fave. Magia Nara 2009 - Sangiovese, Cabernet Sauvignon and Syrah in a light Tuscan-style blend. Red fruit loaded. Owner/winemaker Joshua Klapper (left) jumped from restaurant service to winemaking in 2005. He sources fruit from the top locales in the Central Coast. À Côté Chardonnay 2011 - Bien Nacido Vineyard. Eleven months in French oak, and it is done very nicely. Full mouth, minerality, tropical fruit. La Fenètre Chardonnay 2009 - Bien Nacido Vineyard. A little butter on top of the lovely fruit. À Côté Pinot Noir 2011 - Just released, a Central Coast blend. Tea and cola on the nose, sour cherry and raspberry on the palate, with brilliant acidity. - Bien Nacido Vineyard. Dark Santa Maria Valley minerality. *La Fenêtre Pinot Noir 2010 - Presqu’ile Vineyard. Lovely violet nose. The fruit is so ripe that 40% whole cluster pressing doesn’t dampen the bright flavors. One of my favorite wines at the event. Syrah 2009 - Sawyer-Lindquist Vineyard. Grapes from San Luis Obispo’s Edna Valley. Brilliant acidity is the big note here, lean and mean for a Syrah. Pierre Lafond started Santa Barbara County’s first post-Prohibition winery in 1962 (Santa Barbara Winery) and Lafond came along in the ‘90s. Chardonnay 2011 - Sta. Rita Hills; slight smoke, nice fruit. Pinot Noir 2010 - Sta. Rita Hills; light mouthfeel, tea. Syrah 2010 - Sta. Rita Hills; nice fruit, medium mouth. Sangiovese 2009 - A Santa Ynez Valley bottling under the Santa Barbara Winery label, this one sports cherry galore. The Gleason family’s Santa Ynez Valley spread has a 26-acre vineyard on it. *Ineseño 2010 - 60% Roussanne, 40% Viognier, this estate wine is aged on the lees for 15 months in 20% new French oak. It has a big, beautiful mix of savory and floral notes. One of my favorites of the event. Sauvignon Blanc 2011 - 20% Semillon gives a creamy mouthfeel to this grassy and fresh wine, which is fermented in cement. Tiradora Sauvignon Blanc 2010 - A 100% varietal wine, it’s fresh and fruity with a hint of oak. Other winemakers have been using the Riverbench Santa Maria Valley grapes since 1973. The vineyard owners started their own label in 2006. Winemaker Clarissa Nagy (right) has been on board for less than two years. Pinot Noir 2010 - Lovely floral, great acidity. Chardonnay 2011 Bedrock - Beautiful fruit, light touch of oak. Pinot Noir 2010 - Smoky and dark. *Syrah 2010 - Big, dark, bold. A fave. More great wines from Etienne Terlinden (see Cordon above) which are mostly vineyard specific. Viognier 2012 - Quite a floral nose on this Santa Ynez Valley wine, with flavors of peaches and apples. Chardonnay 2011 - A clean and fresh Santa Barbara County wine with a savory edge to the palate. Chardonnay 2011 - From Marmon Vineyard in the Sta. Rita Hills. Light oak with a savory edge. Syrah 2010 - Paradise Road Vineyard in the Santa Ynez Valley. Great grip, plums. Winemaker Bill Cates gets great fruit to work with. No wonder he works wonders. *Chardonnay 2009 - A favorite. Bien Nacido Vineyard; smoky fruit, delightful, 14 months in oak. Pinot Noir 2009 - Solomon Hills Vineyard; smoke and cherry. Pinot Noir 2009 - Bien Nacido Vineyard; old vines; raspberry, cranberry and tea. Syrah 2009 - Bien Nacido Vineyard; big and dark; beautiful chocolate-dipped fruit flavors. Larry Schaffer loves the Rhone varieties and gets amazing results from them. Rosé 2012 - I always look forward to the Tercero rosés each year. A pink Mourvèdre - “one of the few in California,” says Schaffer - it’s not afraid to show some funk on the nose. Five months in oak leaves the red fruit coming through nicely, carried along by a bracing acidity. *Grenache 2009 - Larner Vineyard; one of my faves at the event. 75% whole-cluster press, but still a really intense nose, big red fruit and dynamite acidity. Syrah 2009 - Larner Vineyard; not released yet, but when it’s time, it will have spent 40 months in neutral oak; extra dark and concentrated. Syrah 2009 - Thompson Vineyard; Schaffer calls this one, “The most backward wine I make.” He says that with a smile. 100% whole-cluster pressed, aged in neutral oak for ”only” 30 months. Another smile. A big, powerful wine.